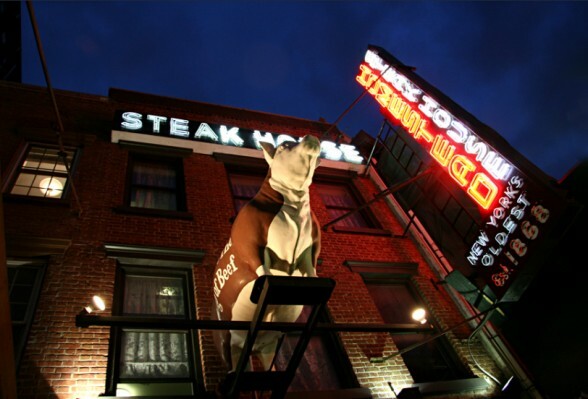 The Old Homestead: New York City’s oldest steakhouse. 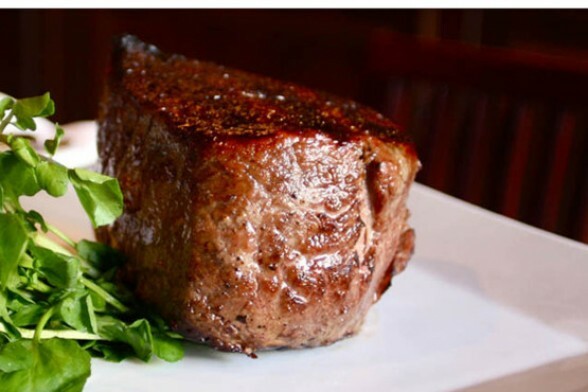 Located in the heart of the old meat-packing district at 56 9th Avenue at 14th Street, the Old Homestead started serving meals just after the Civil War– 1868 to be exact–and claims to be the oldest steakhouse in New York City. My friend and I arrived around 1 p.m. and were seated immediately. I had googled the restaurant’s menu the day before and it all looked mouth-watering: a wide variety of steaks, salads, raw bar, desserts…the works. 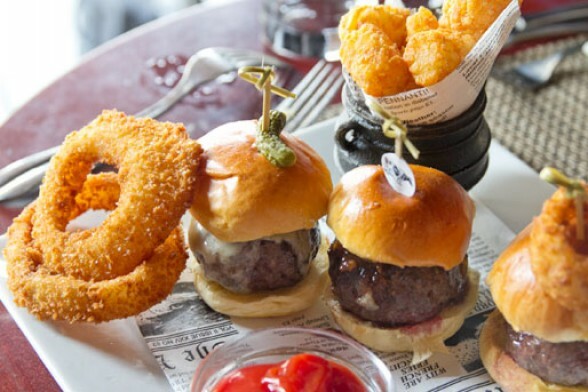 I had pretty much decided on the lunch special which consists of three mini-burgers, a Caesar salad, tater tots and a glass of wine or beer. Let’s just say the choice proved to be a good one. The meal arrived within twenty minutes. Yes, the burgers are small (think White Castle only much thicker) but are to die for (unlike White Castle which will make you die, period). Looks delicious? And then some! What you get is one sirloin, one ground filet mignon and one Kobe, all infused with just the right amount of garlic. What’s Kobe? Apparently some of the best beef on Earth from Japan. I mean the difference is unreal. You must taste it to believe it. The dessert menu is varied and good; I opted for the Creme Broulee, my friend for the bowl of fresh berries ( I can afford to gain a few pounds–he can’t). The Creme Broulee was absolutely delicious with a thin, crisp glaze atop. 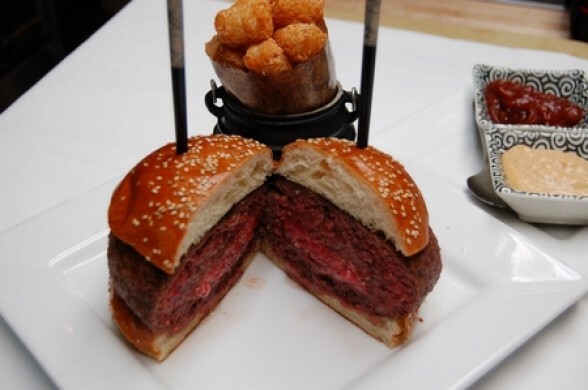 $81 burger? Celebrating its 140th anniversary back in 2008, this item was in the menu. Cheers to that! They advertise the lunch special as “the best in the city”–22 bucks–and when you consider Manhattan prices, that isn’t bad at all. So, again, here’s the beef… arrive with an appetite for the best!